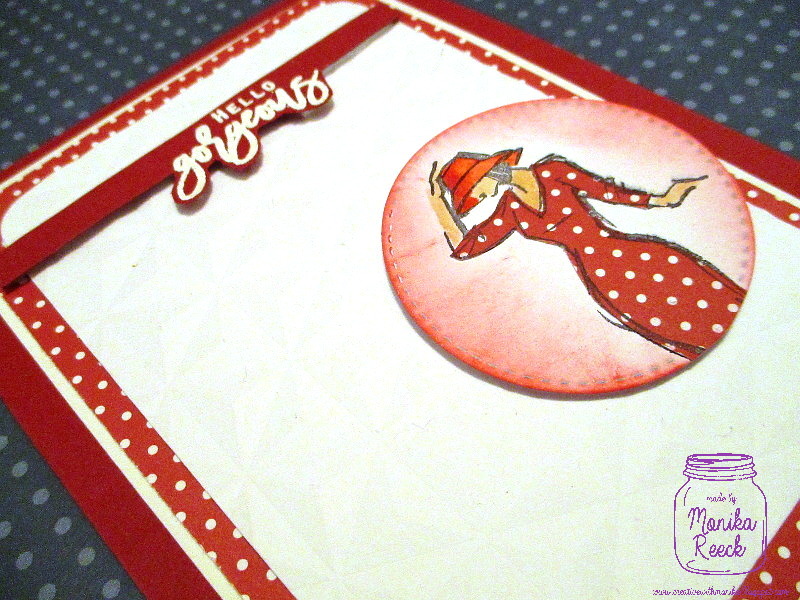 I used my SU favorite stamp this time...I stamped the lady once in a designer paper and once in a white paper. Colored the lady and added her dress after cutting it by my self. I also sponged the white area behind her. Added the foam tape for the main Image and added on the embossed white paper. Wowww!!! Sehr elegant ist deine Karte!!! Und das in sooooo vielen Lagen Papier!!! Ich finde gut, dass du in Rot und Weiß geblieben bist und nicht noch eine weitere Farbe hinzu genommen hast. I love the dress and matching panel. That is the only SU stamp set I have. And your card is beautiful. That is a wonderful embossed panel - beautifully created. 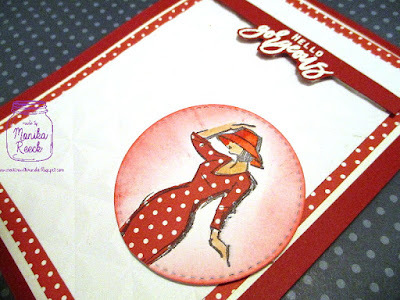 Monika - I love that background emboss - perfect with our sassy lady! Beautiful card, teamie! So elegant and sophisticated, like the colors, you layering, shading and that embossed background, just stunning Monica! 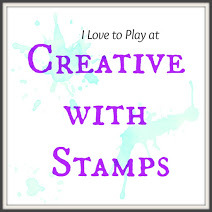 Your card caught my eye right away on the Sunday Stamps blog!! I LOVE that fantastic image and the embossed background. The color red is just so classy!! Fantastic design! Absolutely Fabulous Monika! 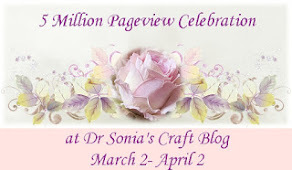 Love the dimension on embossed BG and the image is so sweet! The sentiment is so perfect for her! What a gorgeous card, Monika! I love the vibrant red and white combination. The embossed background, too, really catches the attention. 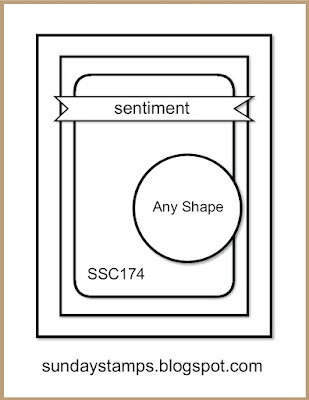 Great job paper-piecing the pretty polka-dot Designer Paper onto the image. It goes brilliantly with the background. Thanks so much for joining our Watercooler Wednesday Challenge this week. 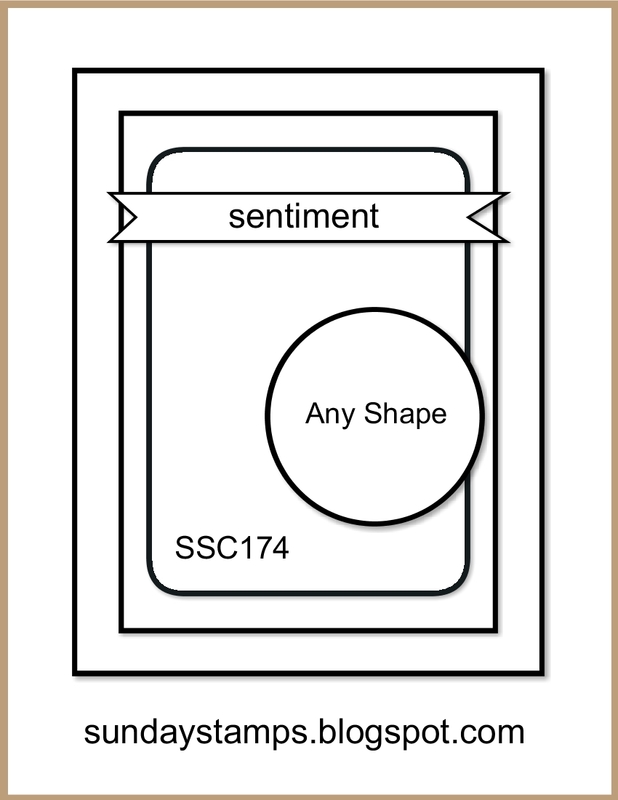 You've made a wonderful card using that sketch! Thanks so much for joining our Watercooler Wednesday Challenge this week! 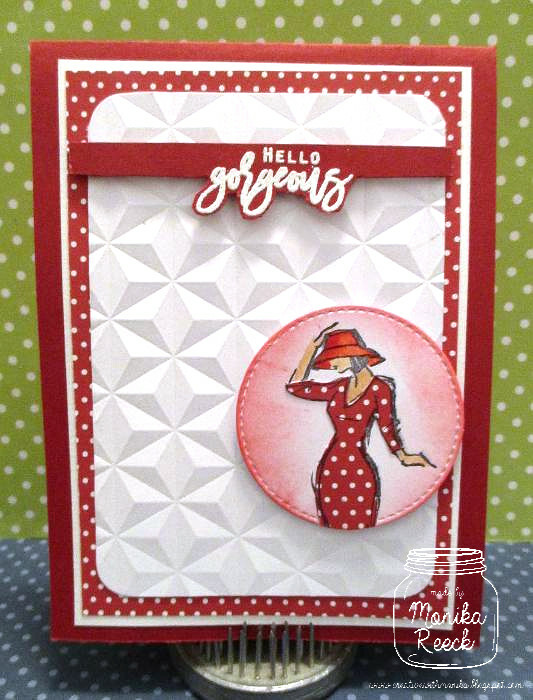 Gorgeous card with a lovely retro feel. Red is one of my fav colours so this card is spot on for me. Fabulous card, love the embossing folder you have used, great design. 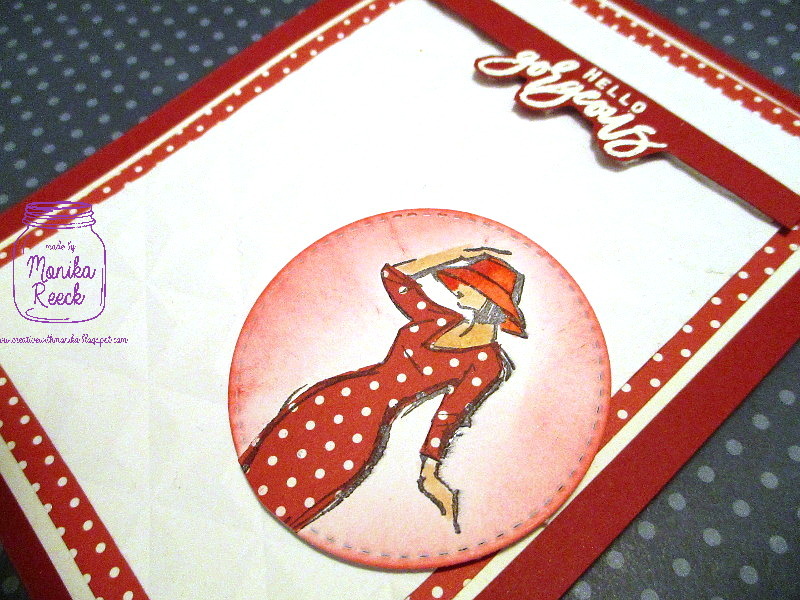 Simply stunning card Monika...your lady is so stylish, just love her in red and that fabulous hat! Truly gorgeous! 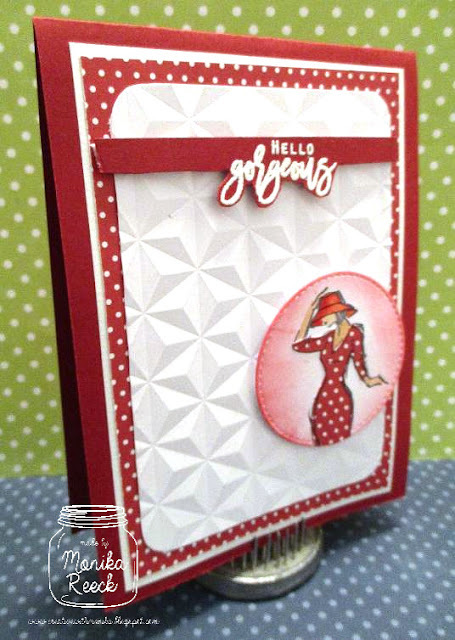 Love the dimensional background on your card. I love spots and red and white makes a card extra feminine and gives it a certain Ohlala factor. The way you cut around the bottom part of the sentiment is genius. 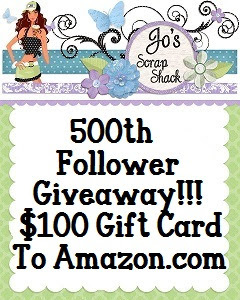 I so love this card! Very sophisticated card!Love the little matching details!Thank you for sharing with us at the Crafty Gals Corner!Hope you join us again soon! Fun card; love the colors! Stunning! I love the embossed background.